"The Sanctuary is situated in a splendid panoramic position, about 600 meters above sea level, on the crest of the mountain at the center of a dense holm oak. 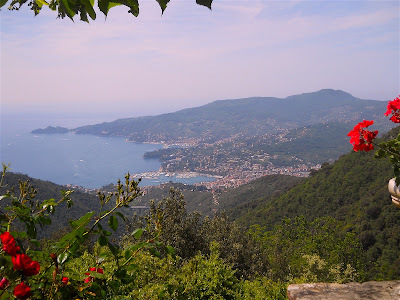 From the square enjoy an extraordinary view of the west coast of the Gulf of Tigullio, with the towns of Rapallo and Santa Margherita interspersed with coves of San Michele and Paraggi, until the unmistakable shape of the promontory of Portofino. " ...For those traveling by train, just get off at Rapallo, and just behind the same station, is the cable car to reach the Sanctuary. 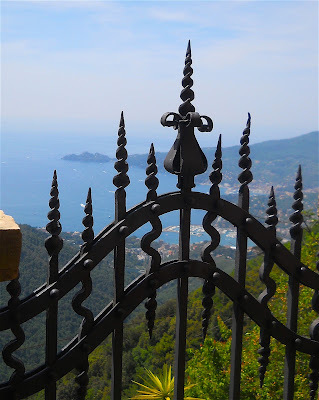 For those traveling by car or bus on the A12 motorway, the exit is Rapallo. " 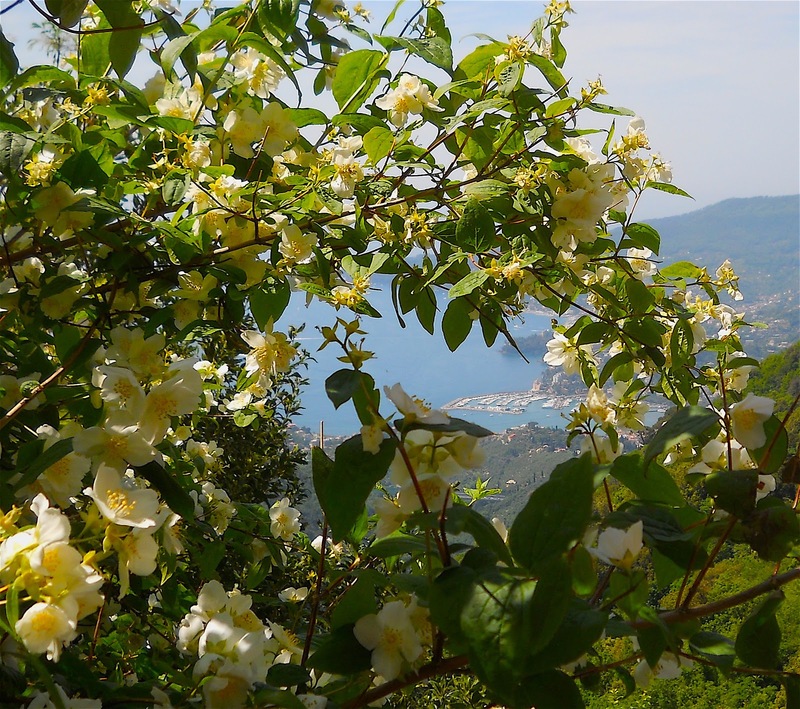 Several hiking trails start from Montallegro.